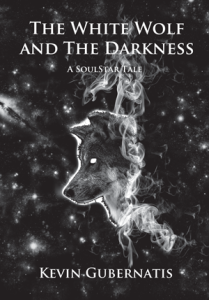 To order a print copy of The White Wolf and The Darkness, please visit Amazon.com. To order an e-book copy of The White Wolf and The Darkness for your iPad or other Apple device, please visit iTunes. The White Wolf and The Darkness takes place in the future — roughly a thousand years into our future, to be a little more precise. By this time, humanity had long ago spread out into the stars and magic was the fuel for that expansion. Magic runs everything, from the large starships that ferry people through the void of space, to the smallest of hand-held lights. The Covenant Of Earth Nations, Earth’s governing body, has lost contact with a deep space research station orbiting a black hole known as the Dark Star. COEN has sent a team of specialist commandos to discover the reason for this communications blackout. Along with these specialists, they send a young magician, Asala — a practitioner of ritualism fresh out of her studies at the School of Magic and Spiritual Comprehension. She and her commandos are prepared for any situation involving entities both supernatural and mundane. At least they think they are. Little do the COEN Corps commandos and their magician know that what awaits them aboard the Dark Star is far beyond anything ever experienced.